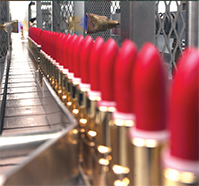 At Lady Burd® Cosmetics, Manufacturing Beauty® is more than just a tagline. Our 60,000 sq. ft. facility houses a modernized lab and technologically advanced contract manufacturing equipment for all color cosmetics, skin care, hair care and more. We have an extensive library of formulas and thousands of colors to choose from, or our expert cosmetic chemists can custom develop any formula or color for you. If you want the latest advance in skincare technology, or the hottest colors, or that exclusive lip, eye, or face product that will put you on the map; whether your needs are large or small; Lady Burd® is the company for you. Our Packaging Department is constantly communicating with our vendors to find the newest and most innovative components on the market. You can either choose from our wide selection of packaging styles, or we can help you find the packaging that’s right for you and custom fill it in-house. Our Custom Pressed Powder Specialists can “engrave” your logo, or any other design, directly onto your product, branding it specifically as your own thus ensuring customer loyalty. 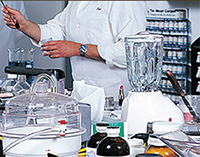 From start to finish; from tube filling to artistic powder pressing; from sourcing the finest ingredients to developing advanced skincare formulations; from lipstick molding to hot-pouring colors into trendy packaging; from conceptualization to innovative finished product; whatever vision you have for your business, Lady Burd® can and will make it a reality. Brand loyalty brings repeat business and maximizes profits. We can print your logo and brand name onto all components so you can develop your own brand and bring your unique image to life. Create your own product and color names to further develop your brand image and customer loyalty. We can customize individual product labels just for you. 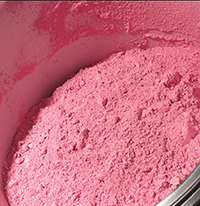 Imagine your own beautiful logo or image on any of our custom face and eye powders. We can develop a personalized die cut along with the right color combinations so you can put a product on the market that is guaranteed exclusive to your brand.